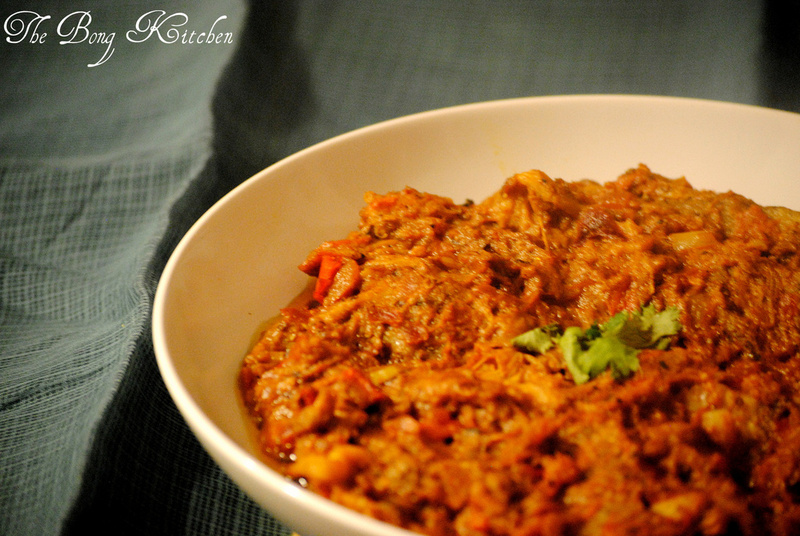 Baigan ka Bharta; courtesy Aman Kahlon.. 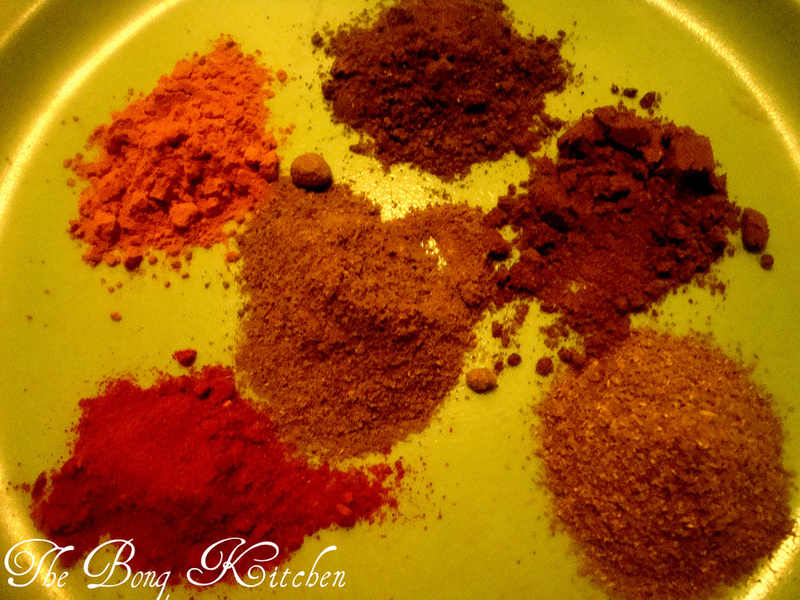 I recently joined this lovely food forum online and made some wonderful wonderful friends. So when I had to fix tonight’s dinner, I wondered why not ask my new friends as to what I should make and the unanimous votes went to Baigan ka bharta (please do not make me translate that. Then a very generous friend Aman; offered his grand ma’s recipe, the way, traditionally it is made in Punjab.. I instantly fell in love with the recipe and I knew I just had to make it. 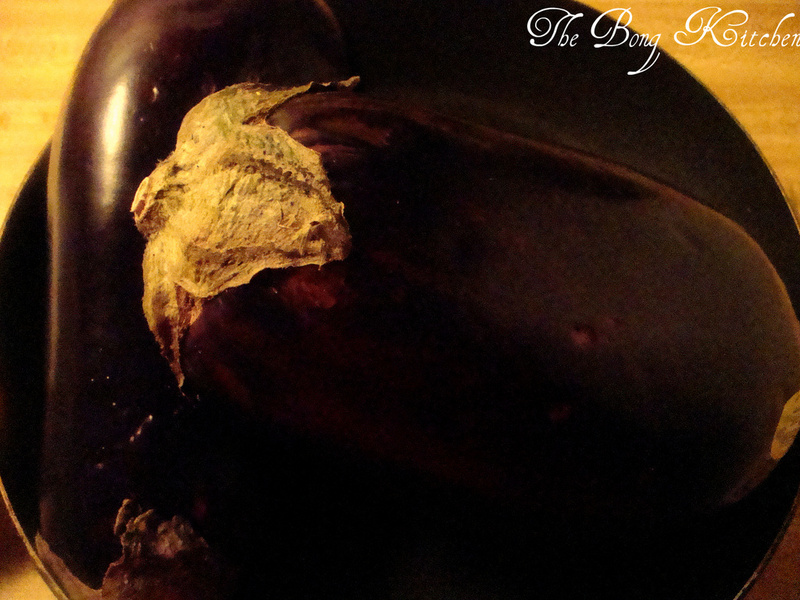 Plus there were 2 gorgeous aubergines sitting in my vegetable tray. Though I will admit, I made one little change (cook’s licence) other wise stuck to the recipe..
How you start with rubbing some oil on the eggplant and make tiny incision. Then place it directly on the flame, like a bar-be-cue and let it cook till the sink softens and shrinks and there is a smoky smell. Place it in a bowl and cover it. Aman told me that his grandma use to put clarified butter and char caoal in the bowl to lock the aroma. Now I cannot do that so I just heated the oven to about 300 degrees and left it there till I got my other ingredients ready. Heat a kadhai or a deep wok, as for oil, in Aman’s word “be generous”. 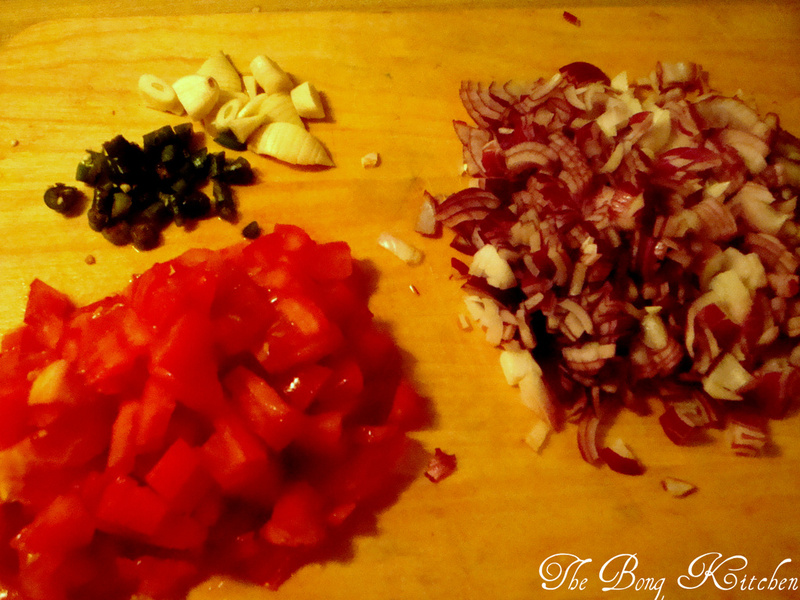 Start by adding the onions and the garlic. Gently saute them so they are transparent and not golden brown. Now add the green chillies and after a couple of minutes add the tomatoes. 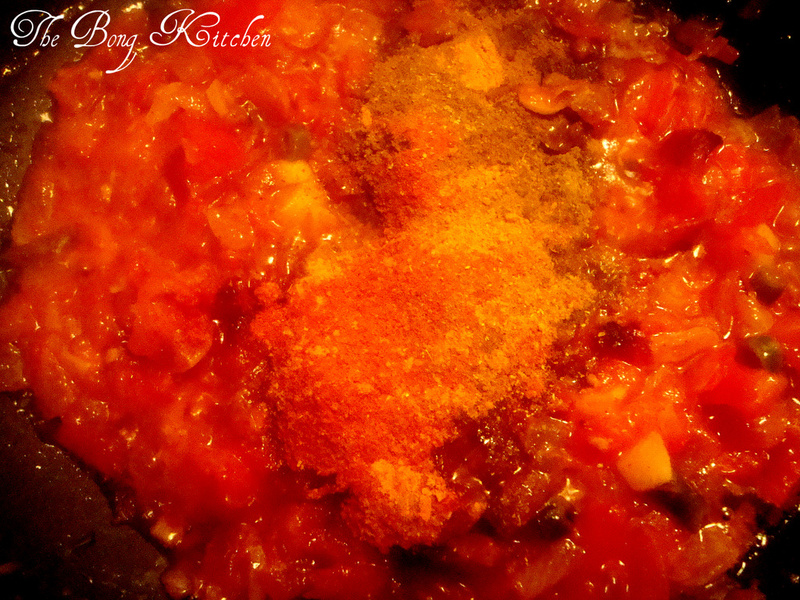 Cook in medium to slow heat till the tomatoes are smooth and well mixed with the onions. Now add the powdered spices and gently saute till the oil starts to separate and finally add the mashed eggplant. Continue to cook on slow heat for about 1/2 an hour covered with a glass lid. Basically this allows the oil to separate and to let the red colour come out. 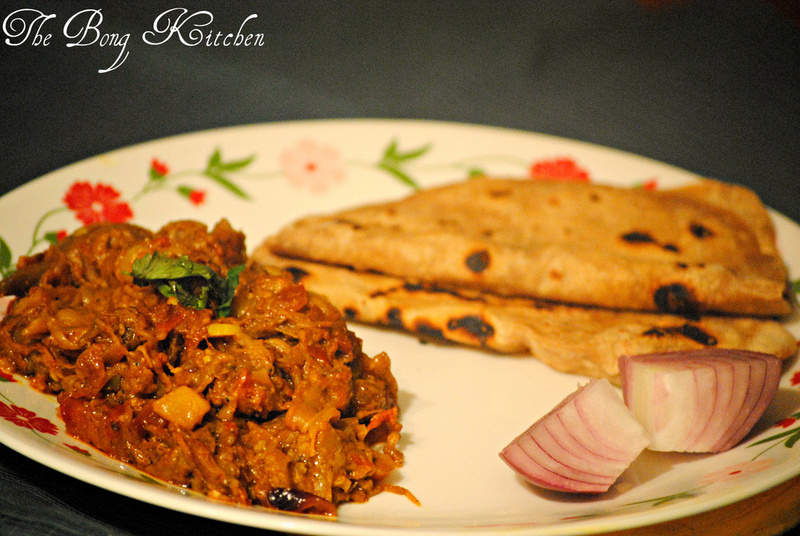 Your Bharta should be ready now garnish with coriander leaves and serve with hot chapattis. 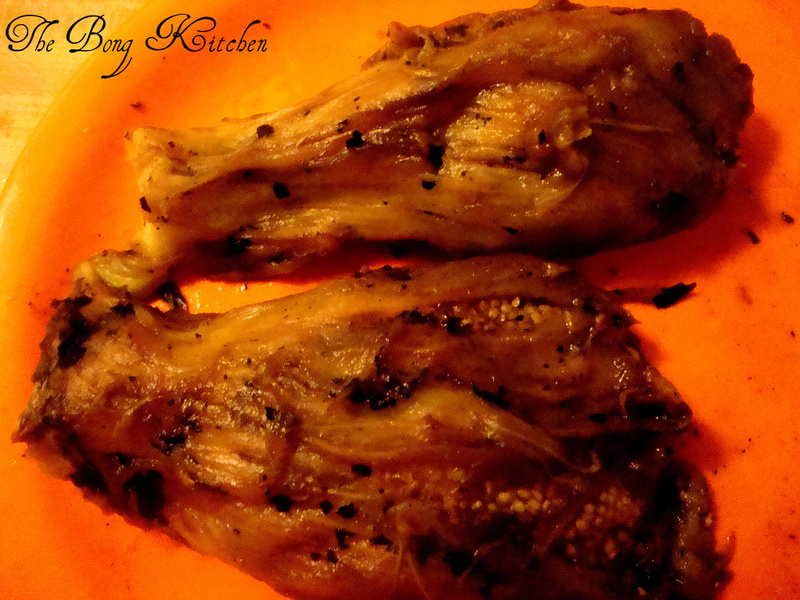 P simply loved it… 2 egg-plants all polished up….. Loved the receipe as always..and of course, need to run that extra mile on the treadmill tommorrow !!! 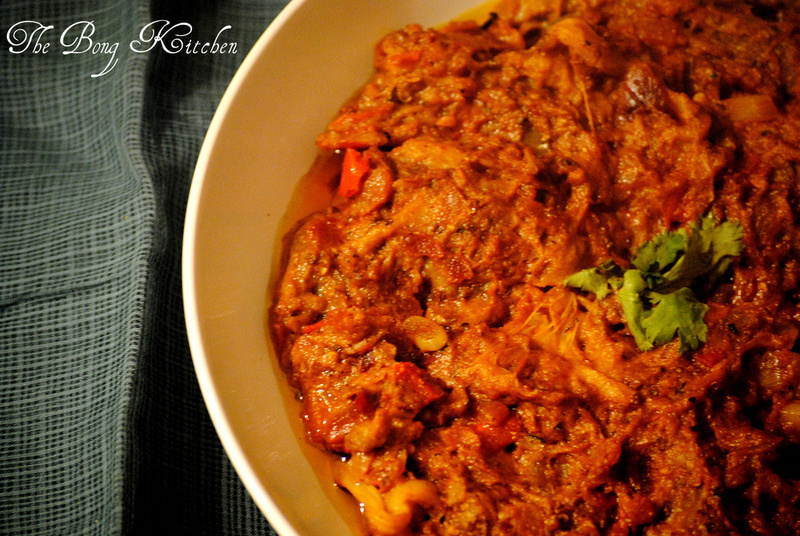 @Amam thanks so much for the lovely recipe.. looks like I am going to bug you a lot from now on! !